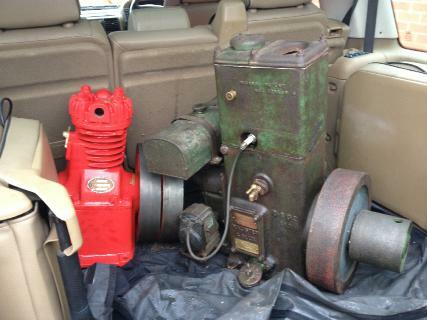 I went to purchase the compressor head and came back with the Lister D as well! It is a low tank shaft drive with a Ricardo head. It is quite an early D, supplied as part of a 1kw non-automatic lighting plant, the plant number was 2982NA. The D was build on 11/10/27 and supplied as a lighting plant to E.C.Astler of Witney, Oxon, on 1/11/27.